Unfortunately our webcam is not working at the moment. 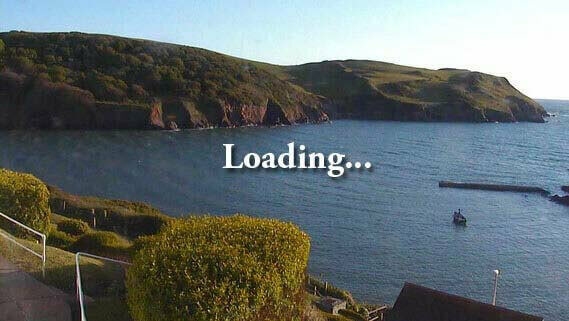 We have contacted our webcam provider and hope to have it up and running again as soon as possible for you to enjoy our fabulous sea views. We are open to non-residents so why not pop down to the Cottage Hotel and experience this unforgettable view for real. You could drop in for lunch or a cream tea on the terrace, soaking up the sun and watching the waves crash on the rocks below. And our hotel faces due west so you can enjoy a memorable dinner in our restaurant and watch the sun sink below the horizon. During the summer, you can relax or dine to live music to make it a truly special evening.